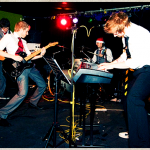 Reverend Ribble & The Ginger Nuts are a professional, renowned function band based in the East Midlands, playing mostly ’50s rock and roll music. 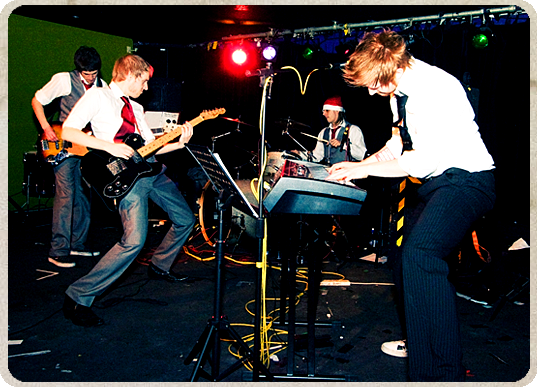 We are a 5-piece band featuring three vocalists, piano, saxophone, guitar, bass and drums. We are all accomplished musicians from various bands around the East Midlands and several of us are heavily involved in the teaching and performing industry. We have previously had residencies at two monthly nights in Nottingham and we now pride ourselves on providing exciting, reliable and quality entertainment for weddings and corporate events throughout the UK. When you book The Ginger Nuts, you get an action-packed night of rock and roll entertainment for you to go wild to! We promise to make sure your night is as perfect as it can be!